Offers all kinds of autochtonous products, from honey and olive oil, to wine and rakija (brandy) to fish and traditional dish called soparnik. Beside food and beverage, this is the place to witness original white stone from Brač, built even into the White House. 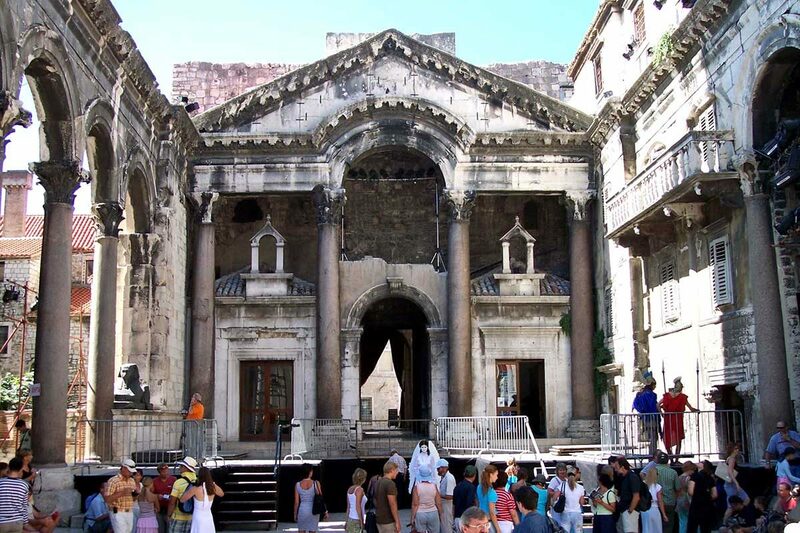 If there is something even more inspiring than the products offered at the fair, it has to be its charming location of the basements of the Diocletian’s palace, a perfect place for small local businesses to present their domestic products. In case you would like to try more of the authentic products in the original setting of Eco farms on nearby islands, we can organize a private tour just for you.